This classically beautiful kitchen is designed by Barbara Westbrook for a South Carolina home. I love the contrast between the warm wood elements and the shiny cold appliances. The gorgeous island and the marble backsplash are the icing on the cake! 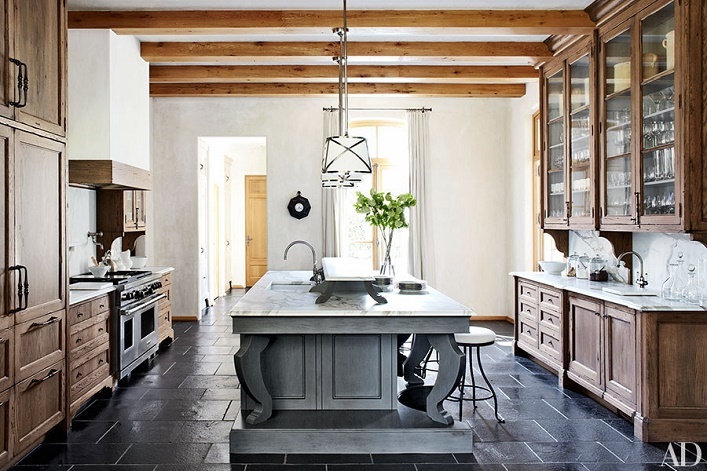 Timeless, thoughtfully designed and effortlessly chic, this is absolutely my dream kitchen. What are your thoughts? I want all the cabinetry!